Create persuasive investment stories for your firm and your clients. Optimize your investment teams with fully connected reports that elevate your pitch and scale with your business. 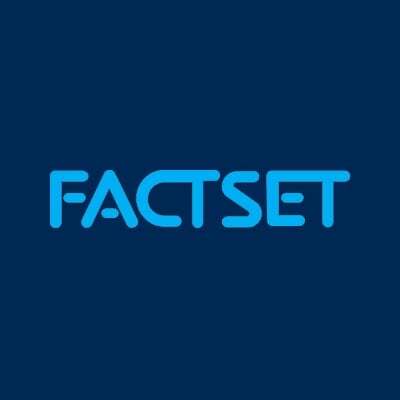 Highlight performance and skill, standardize branding, and win business with FactSet’s solutions for client service and marketing teams. Our combination of portfolio analytics, unique data, and flexible reporting systems help you stay informed and stay ahead. Consistently articulate your investment approach. Stuck in a chain of time consuming, error-prone copy/paste to create presentations for clients and prospects? 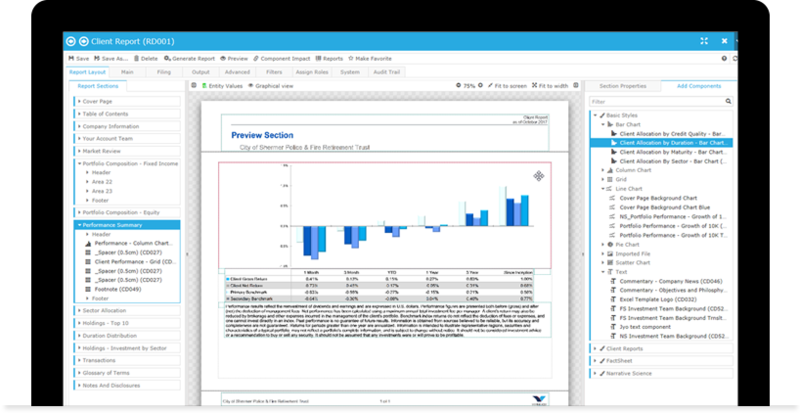 With FactSet, your marketing and sales teams can access a central repository of master PowerPoint presentations, customizable with the latest portfolio data, using only approved content and standard, consistently on-brand formatting. And with auditable content that updates in real time, you always have access to up-to-date information to share with current and potential investors. Manage and extend relationships efficiently and at scale. Growing your business starts with your ability to respond to RFPs quickly and to exceed your potential asset owner’s expectations. Whatever the questions or requirements, you can craft answers in seconds, not days, with dynamic reporting tools and integrated official data. After you’ve won the business, create investment reports tailored to your asset owners’ specific needs, no matter how many clients you have. With dynamic tools that can adjust to any performance period, you can work without IT support and eliminate delays in answering client requests. Differentiate your approach to clients and prospects. 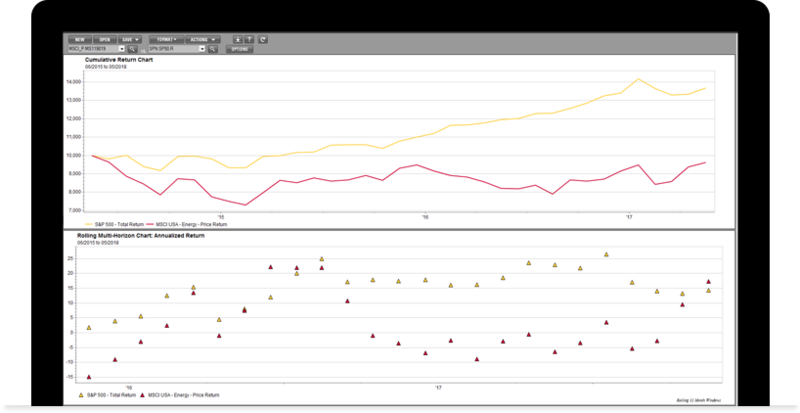 Find what makes you stand out from competitors and create compelling investment stories for clients and prospects with data integrated from hundreds of sources, including official performance, multi-asset class, alternate data, and holdings and returns data for mutual funds, separate accounts, and benchmarks. Whether your strengths lie in managing risk, an exemplary performance track record, stock selection, or a high touch approach, highlight your firm’s unique value to win and retain business. Keep internal teams informed with reports that turn around on business day two, not 10. 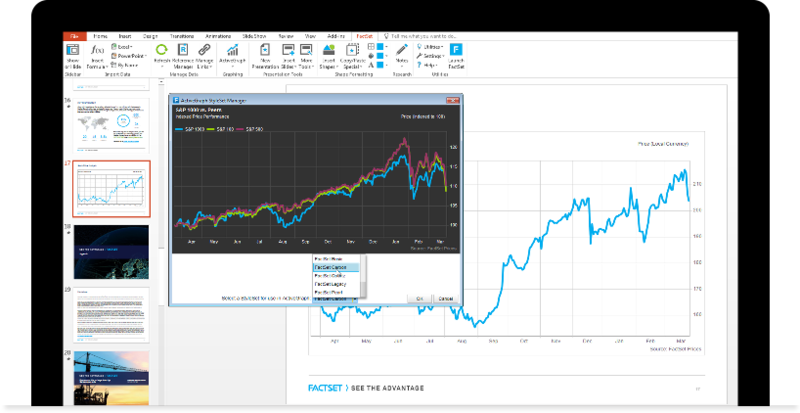 FactSet gives you a single source of data, so you spend less time reconciling sources and more time understanding your portfolios’ performance and risk. 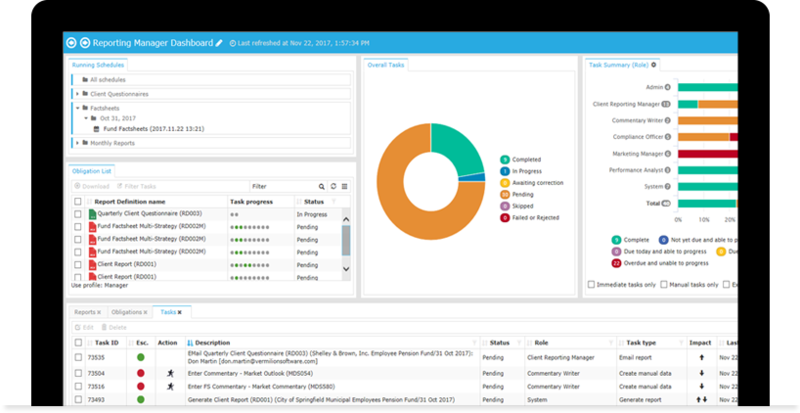 With built-in data checks, you can automate reporting and delivery, keeping the front and middle office connected.